Alter Ego Pheromone for Men is for guys who’ve never tried pheromones before. It is the perfect beginner’s pheromone. 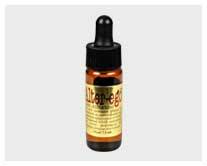 Unlike other pheromone products that can come on too strong, Alter Ego smells great right out of the bottle with and works well without a cover scent. This subtle yet powerful pheromone works well in both romantic and business situations. When people are around you, they’ll feel more relaxed, comfortable and chatty. This will open the door for deeper communication and trust. Men have found that wearing this cologne helps him garner more respect from friends, business associates and love interests. SCENT: Light fragrance which is pleasantly scented with a unique fragrance. It’s subtle enough for everyday wear and blends easily with your own natural scent. BENEFIT: When people are around you, they’ll feel more relaxed, comfortable and chatty. This will open the door for deeper communication and trust. SUMMARY: This subtle yet powerful pheromone works well in both romantic and business situations. When people are around you, they’ll feel more relaxed, comfortable and chatty. This will open the door for deeper communication and trust. Men have found that wearing this cologne helps him garner more respect from friends, business associates and love interests. This powerful pheromone works well in both romantic and business situations. Oil-based with a pleasant natural smell. Get the edge to find the right one and keep her interested! What’s in Alter Ego for Men? Alter Ego Pheromone Cologne contains three distinct pheromones; androstenone, androsterone and androstenol, which is pleasantly scented with a unique fragrance. It’s subtle enough for everyday wear and blends easily with your own natural scent. What Kind of Result Can I Get From Alter Ego for Men? Do I Need to Use A Lot? Too much of a good thing can be a turn-off. You don’t want to come off aggressive so remember, in the case of pheromones, less is more. Start off with just 2 drops along with or without your favorite cologne or aftershave and work your way up by 1 drop each day until you start to notice a change. 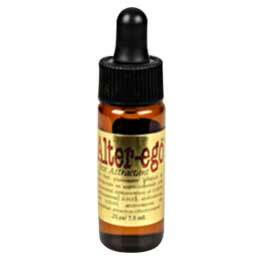 Alter Ego for men contains a potent blend of the three most powerful human pheromones on the planet! There are Androstenone (0.020%), Androsterone (0.010%) and Androstenone (0.015%). Each is laboratory certified and guaranteed to be the most potent money can buy. This pheromone comes in a discreet 7.5 ml bottle for easy mixing with your favorite cologne or after shave. Every man has an alter ego; a more confident, happy, sexual being who lies within. When a man uses Alter Ego Pheromone Cologne, he feels more in control, attractive and successful and people are naturally drawn to that. They may not know what it is about him but they’re intrigued and ready to get to know him better.